Make It Count Foundation will support individuals and their families who seek understanding and assistance in managing their own health. Additionally, we serve to inspire and motivate those on their own personal journey towards a healthy lifestyle in order to achieve their optimal health. 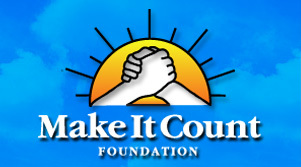 Make It Count is committed to providing the Bike For Fitness program to help families keep physically active. Bike riding is a Trans generational activity that the whole family can participate in, from a grandparent to a parent to a child—biking is great fun that brings the entire family together. Find out about BIKES FOR FITNESS program and the work we have been doing in the NEWS.